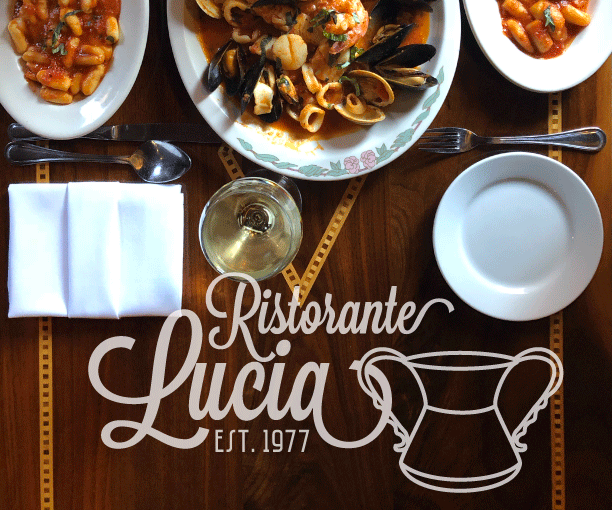 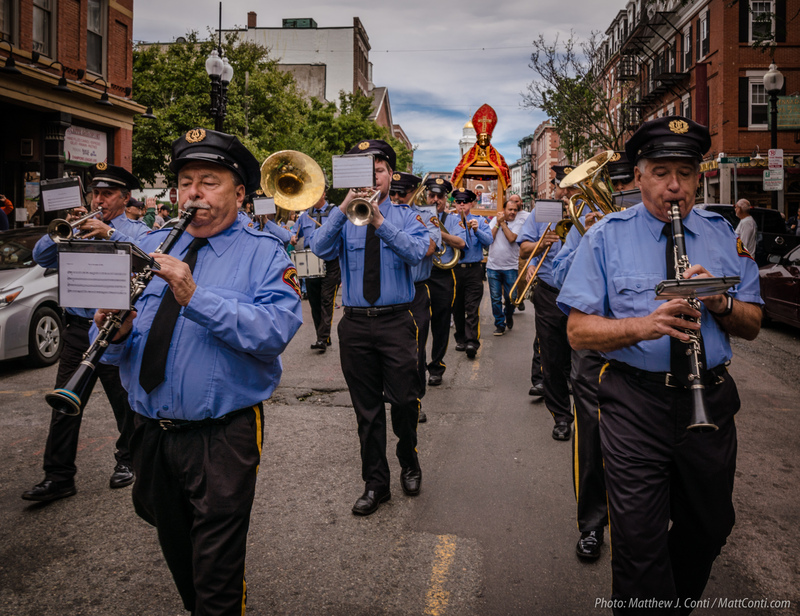 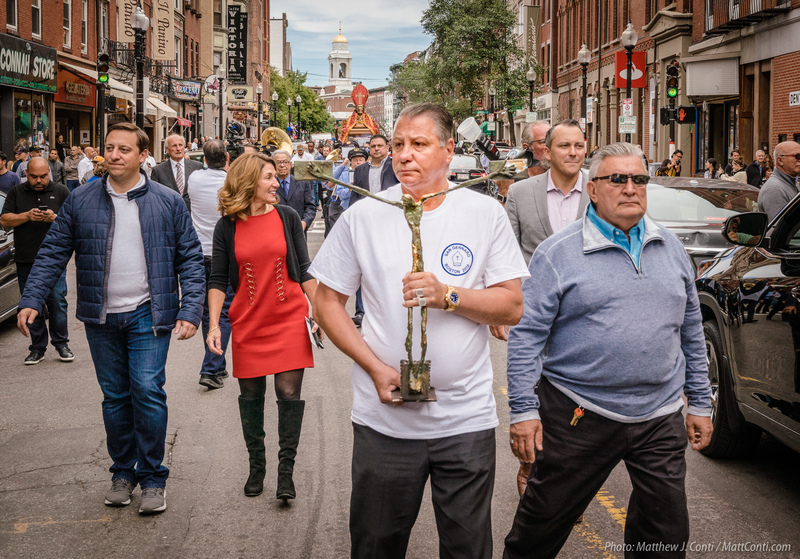 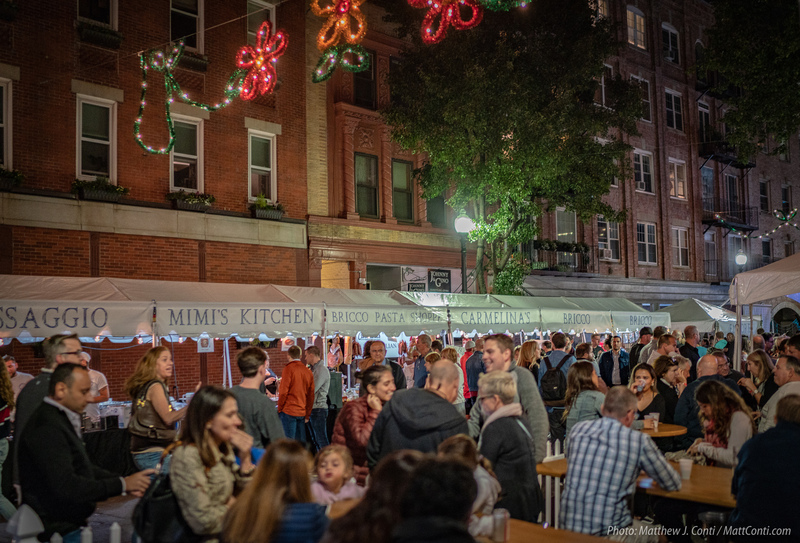 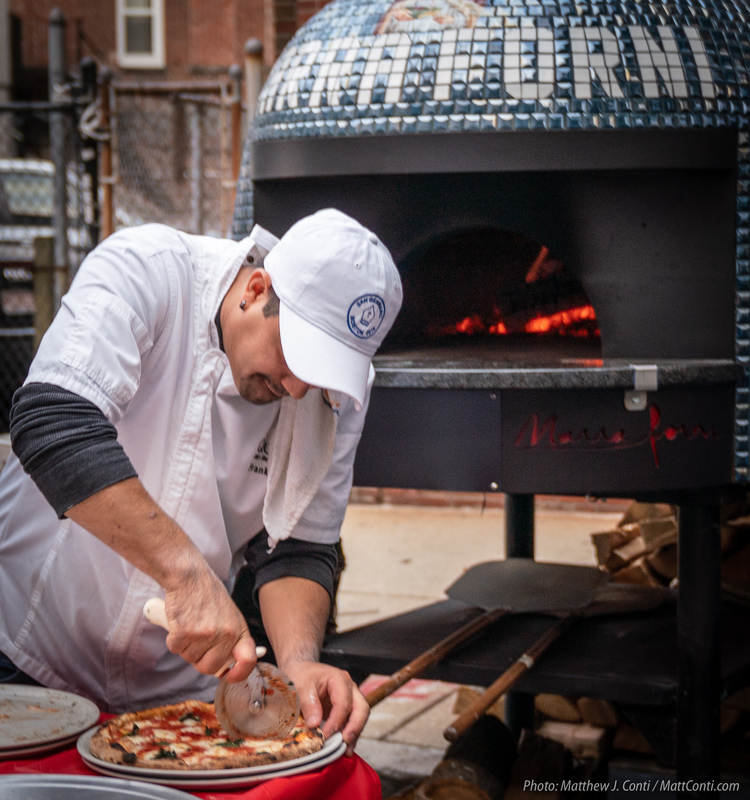 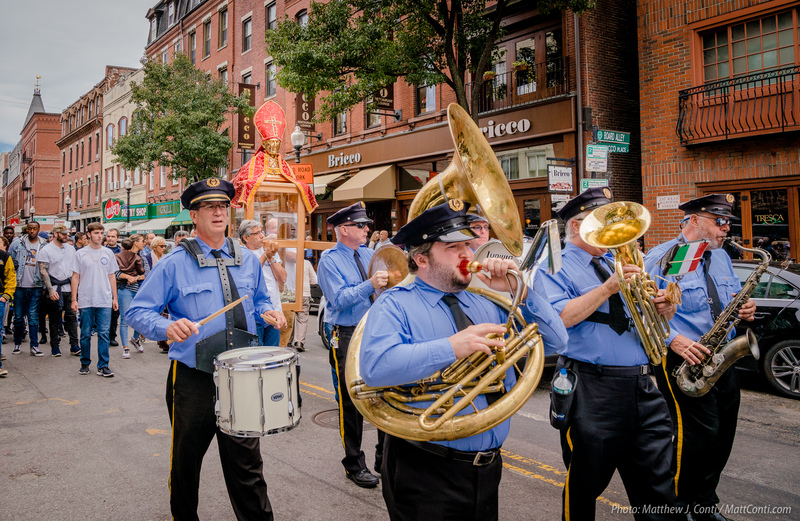 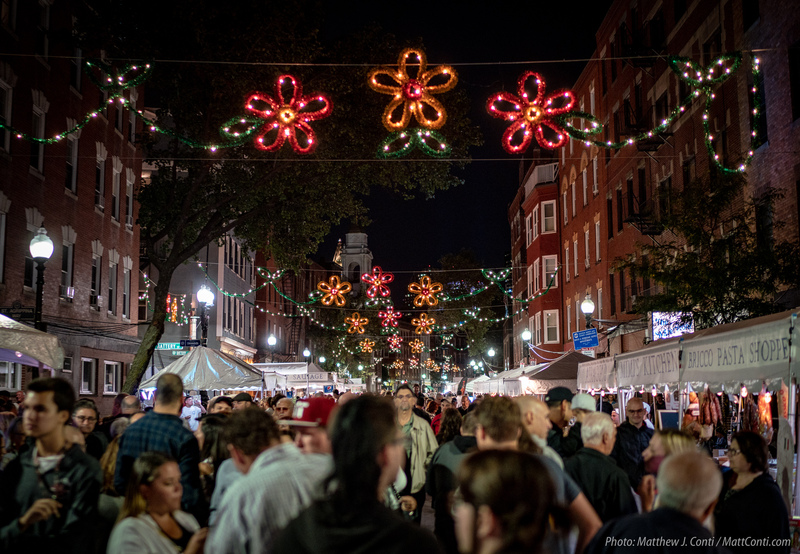 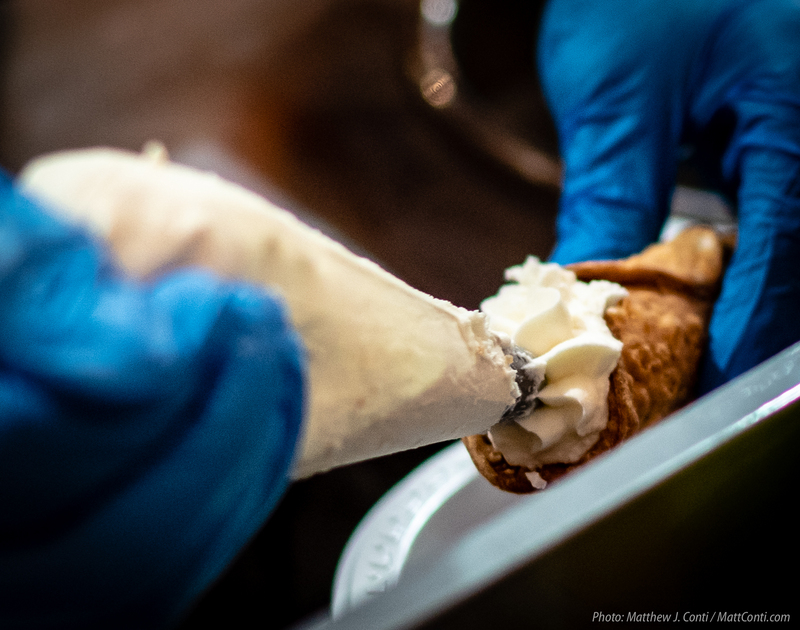 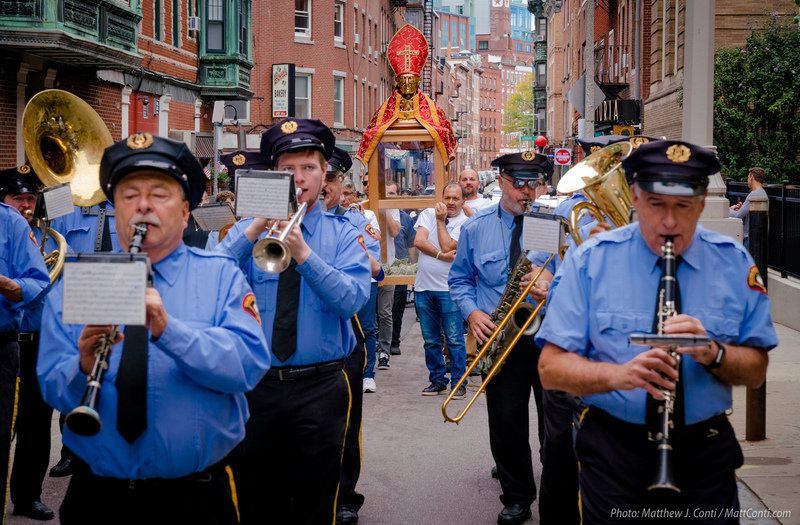 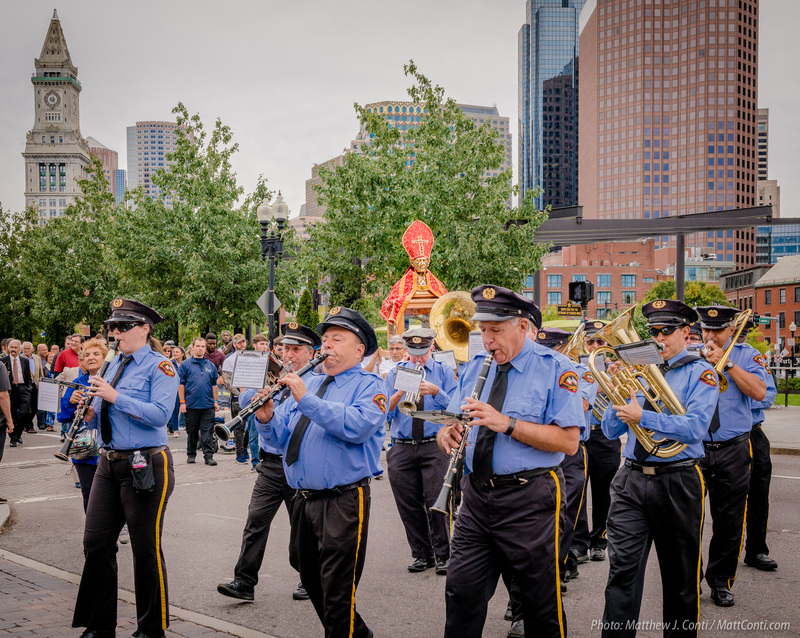 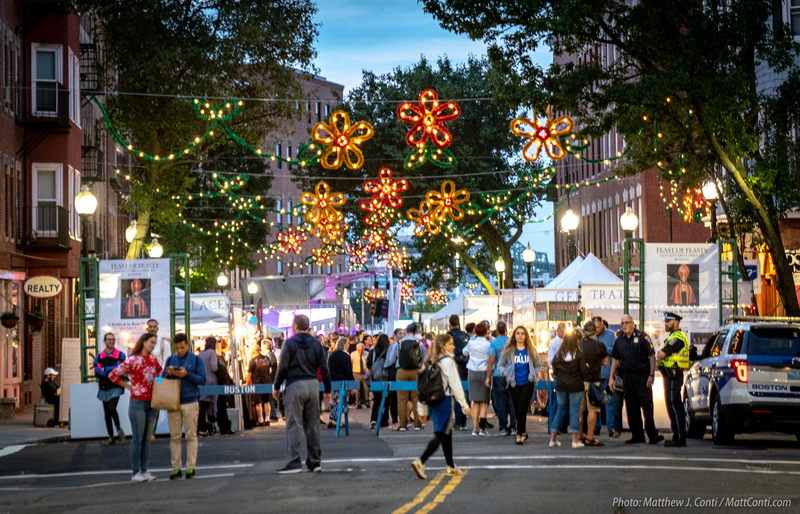 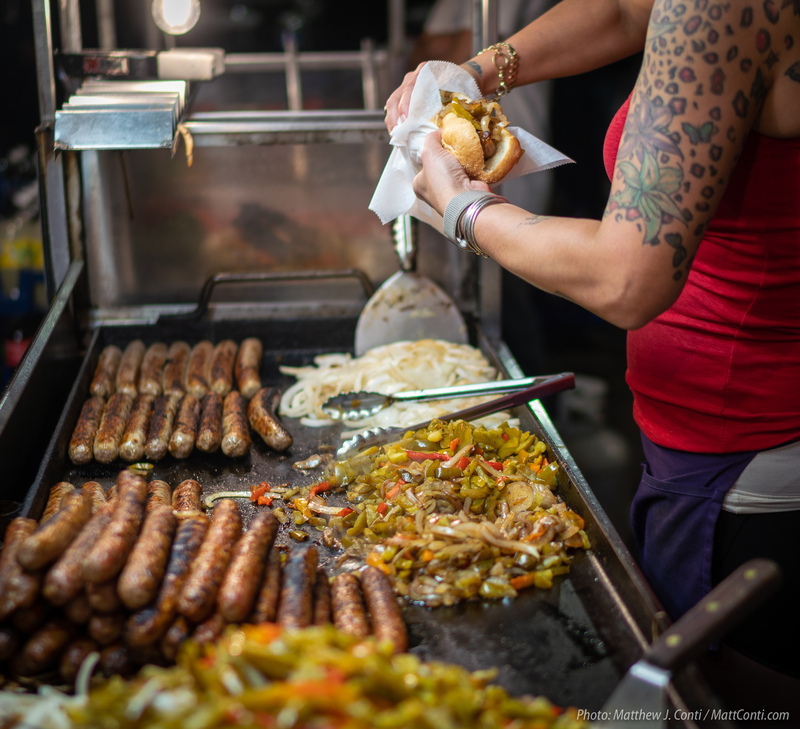 Italian feast food and entertainment headlined the first annual Feast of San Gennaro on Hanover Street in Boston’s North End on September 21 through 23, 2018. 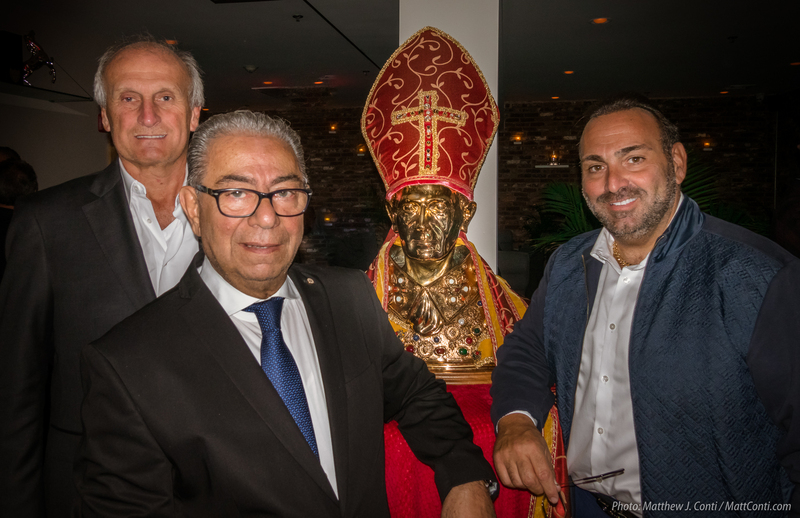 A newly created statue of Saint Gennaro by the sculptor Ettore Marinelli was revealed just weeks after it was blessed by Pope Francis in person at the Vatican. 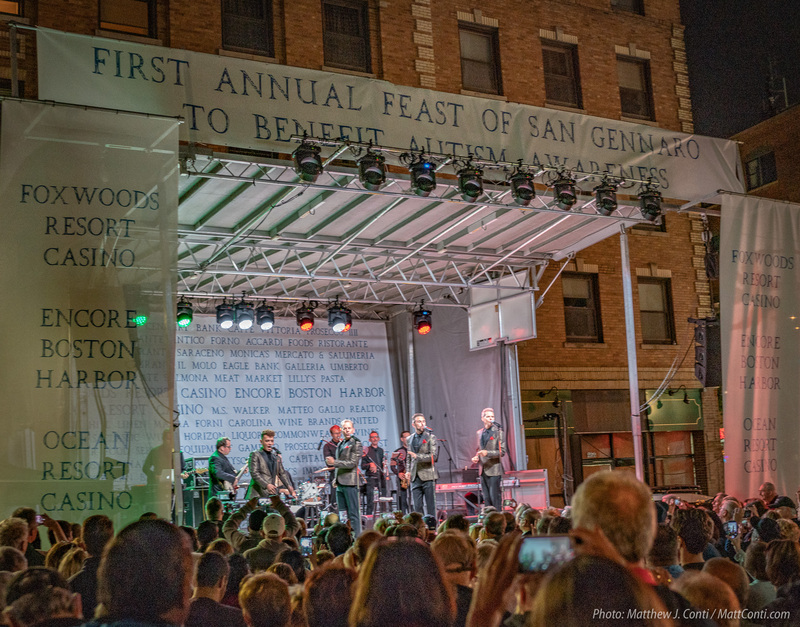 With near perfect September weather, crowds came out for three nights of outdoor dining and high-end entertainment including The Midtown Men, Sal “The Voice” Valentinetti, the New York Bee Gees, Tenor Giovanni Formisano and local favorites Vanessa Salvucci and Vinyl Groove. 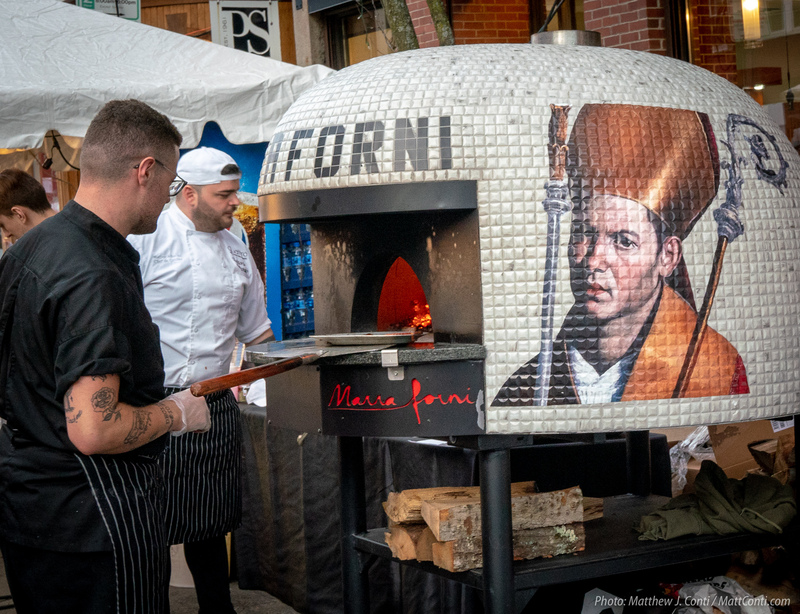 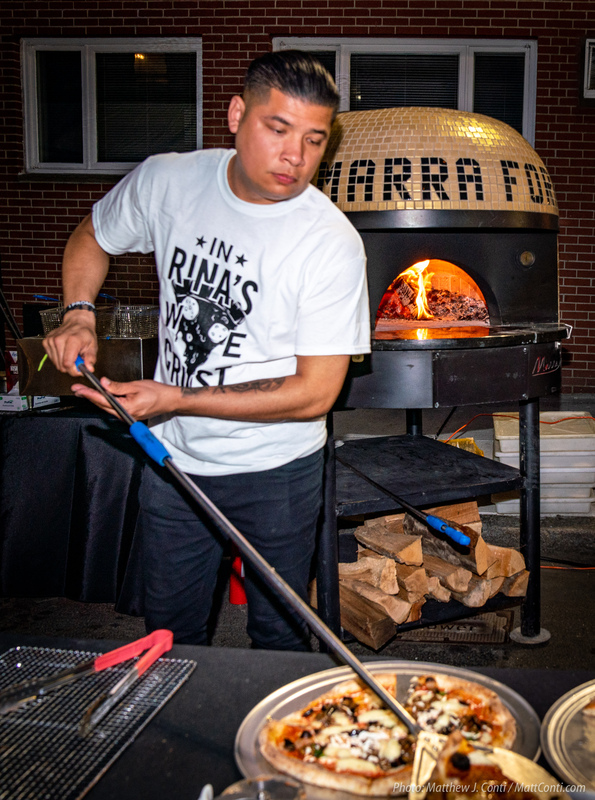 Authentic pizza ovens were brought in as restaurants and food vendors served up classic Italian feast food of pizza, sausages, meatballs, pasta and cannoli. 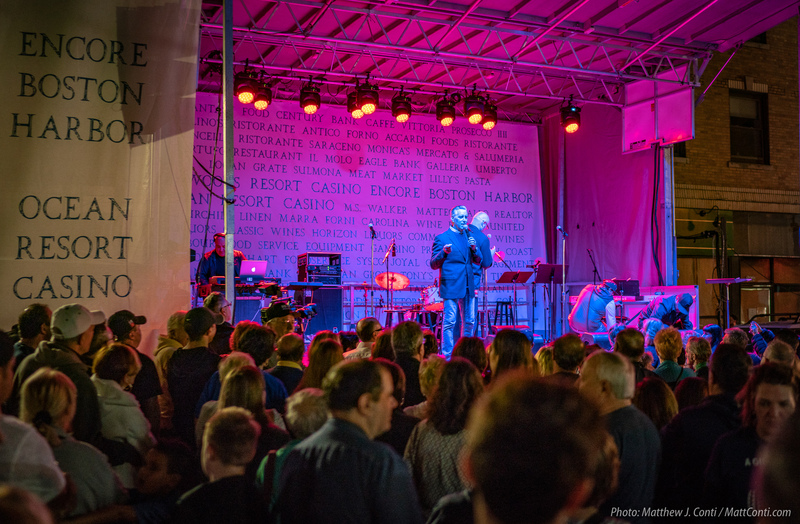 Major sponsors for this year’s event were regional casinos (including the soon to open, Encore Boston Harbor in Everett), area restaurants and businesses. 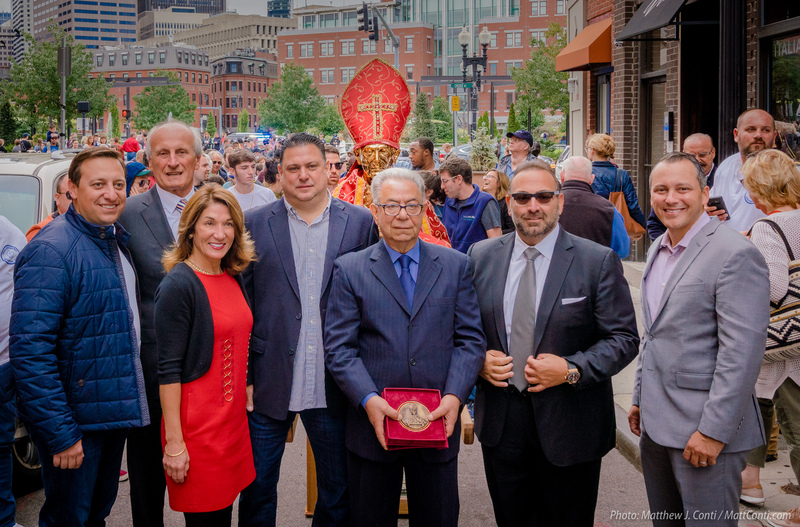 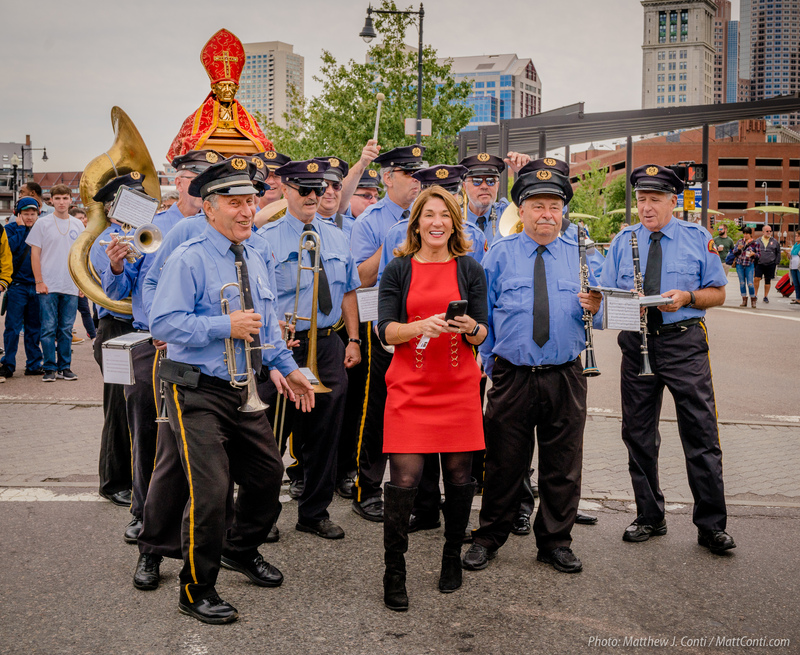 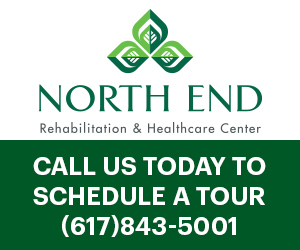 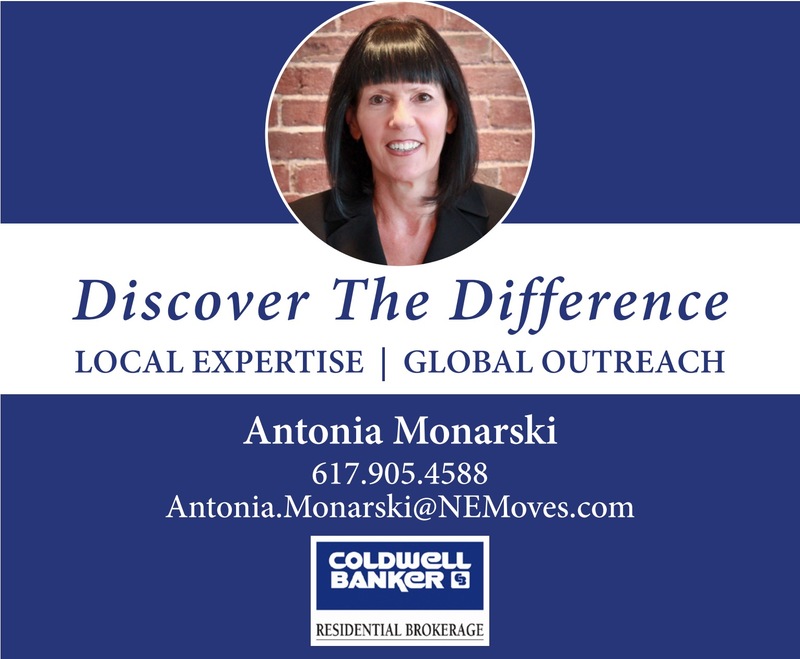 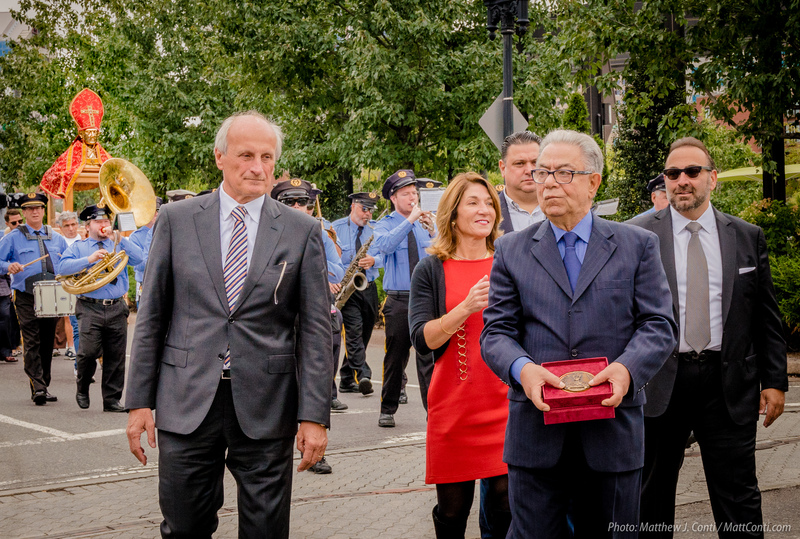 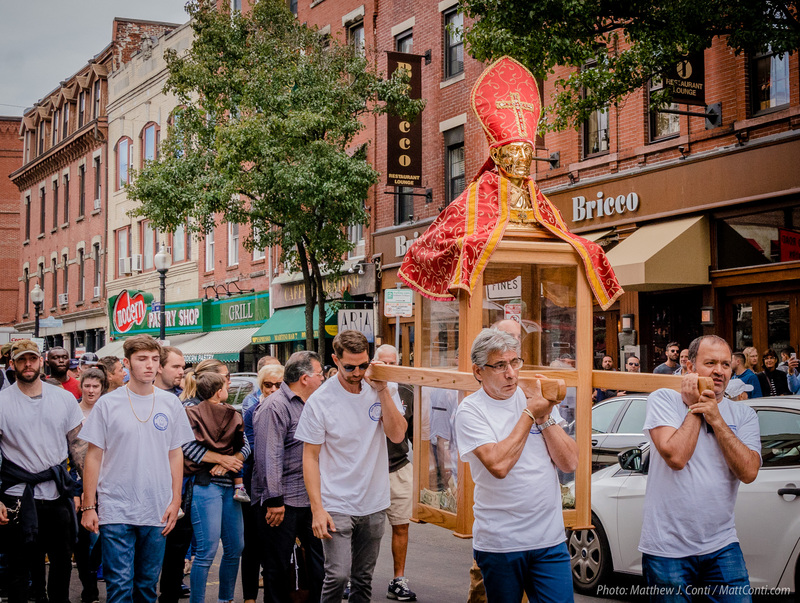 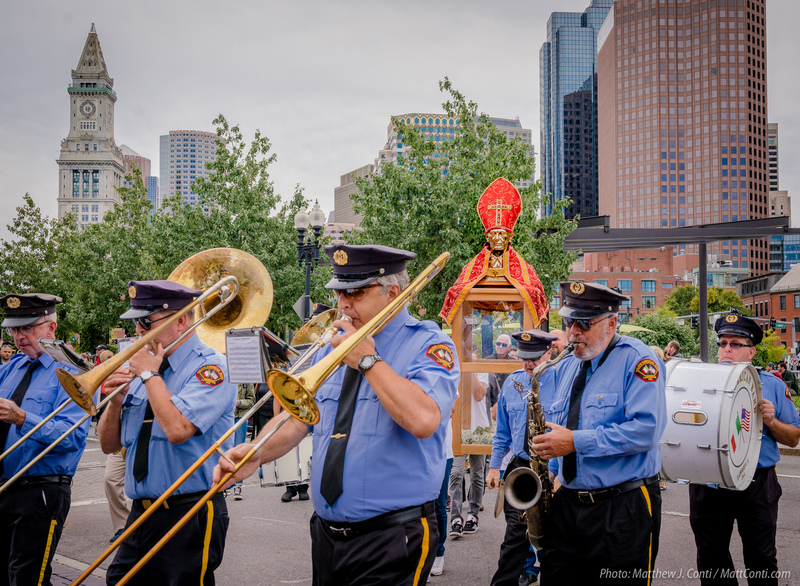 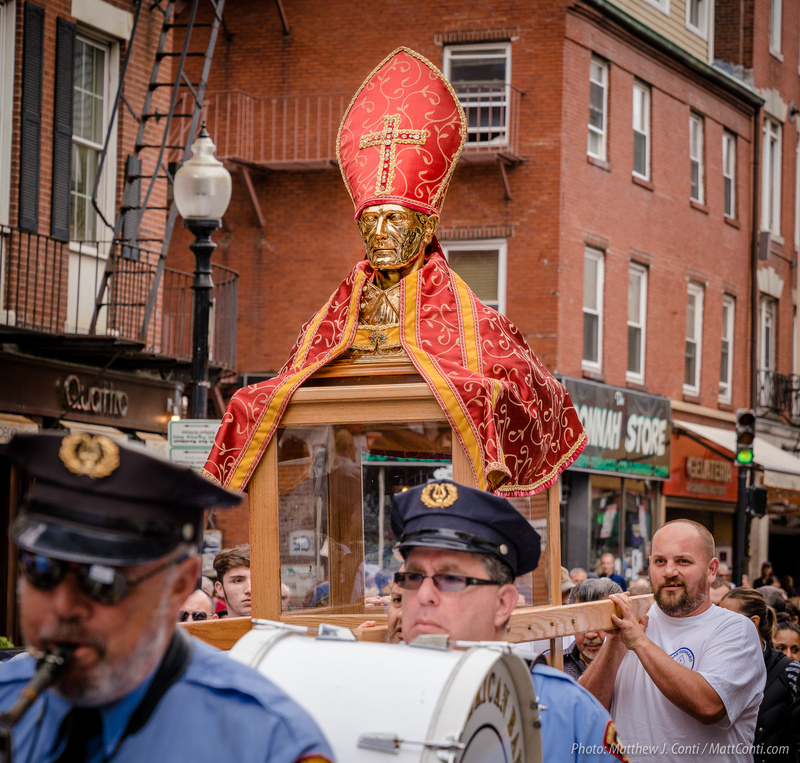 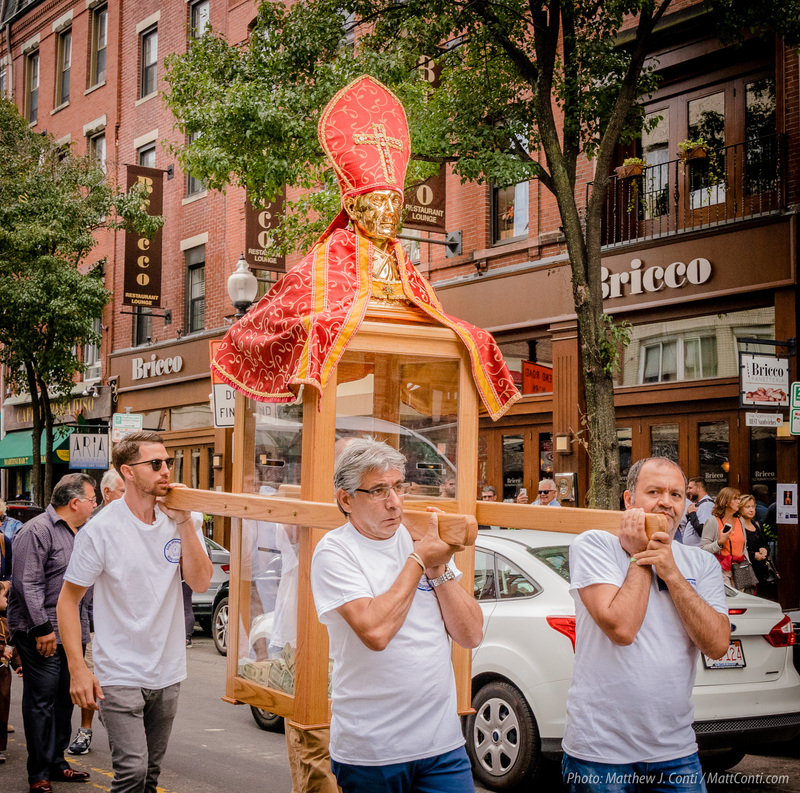 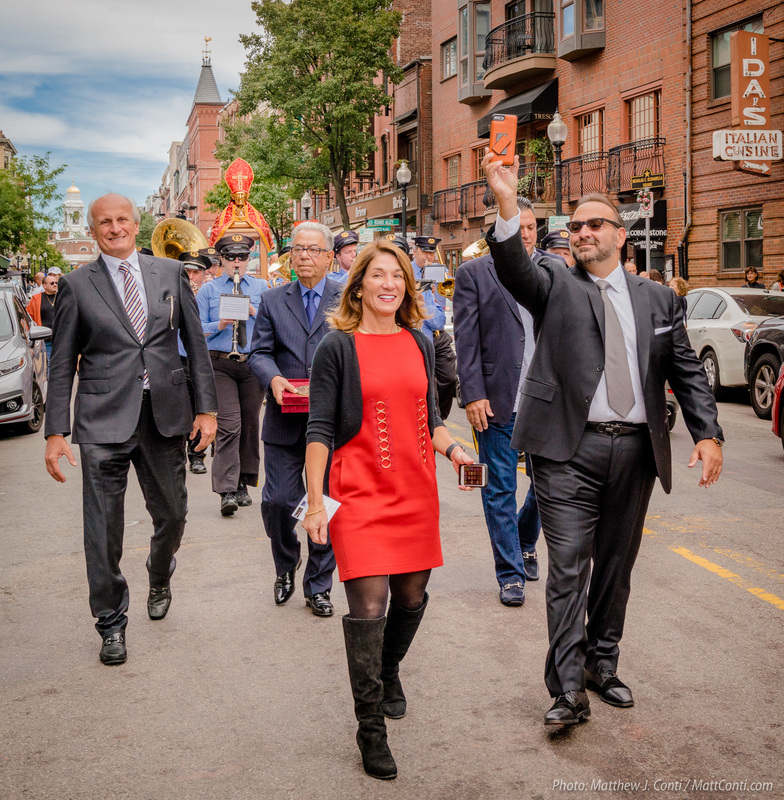 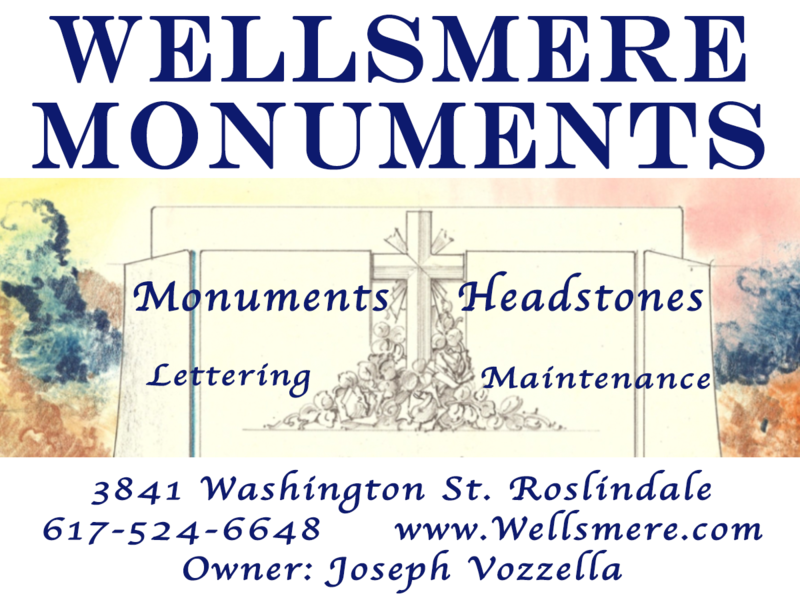 On Sunday, a traditional procession was held through the streets of the North End followed by a Mass at St. Leonard Church with Karyn Polito, Lieutenant Governor of Massachusetts among other local officials Senator Joe Boncore and Representative Aaron Michlewitz. 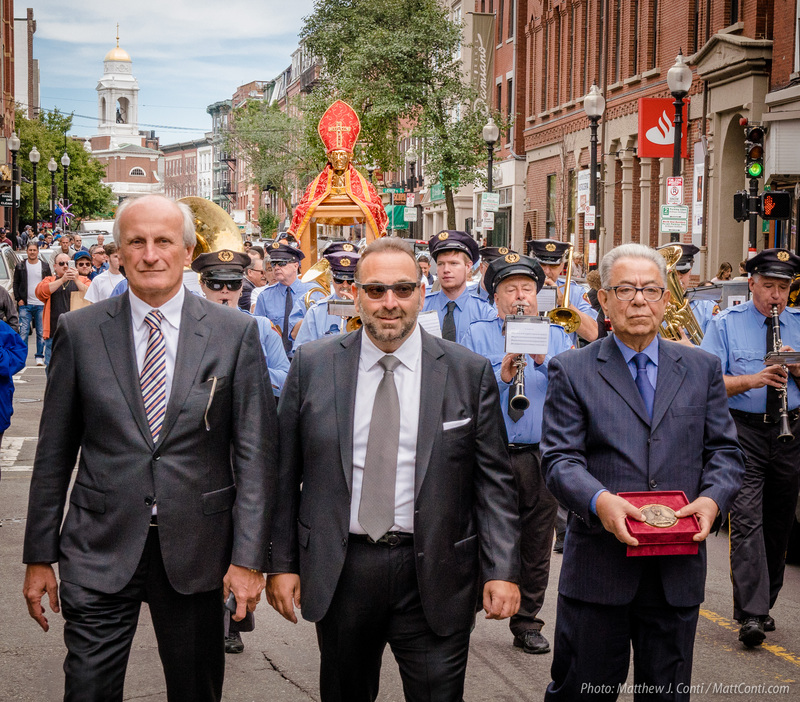 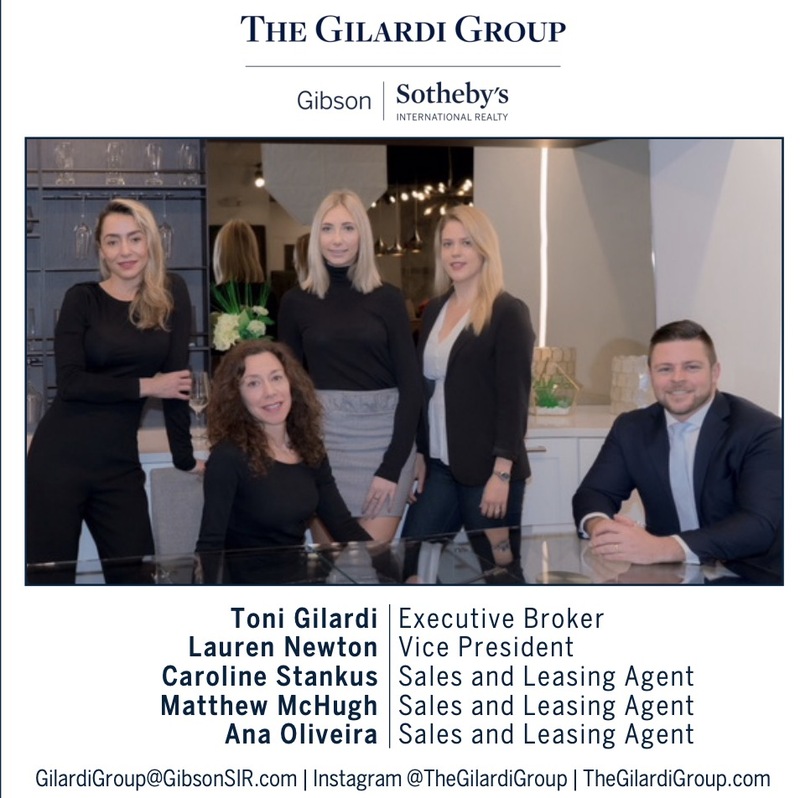 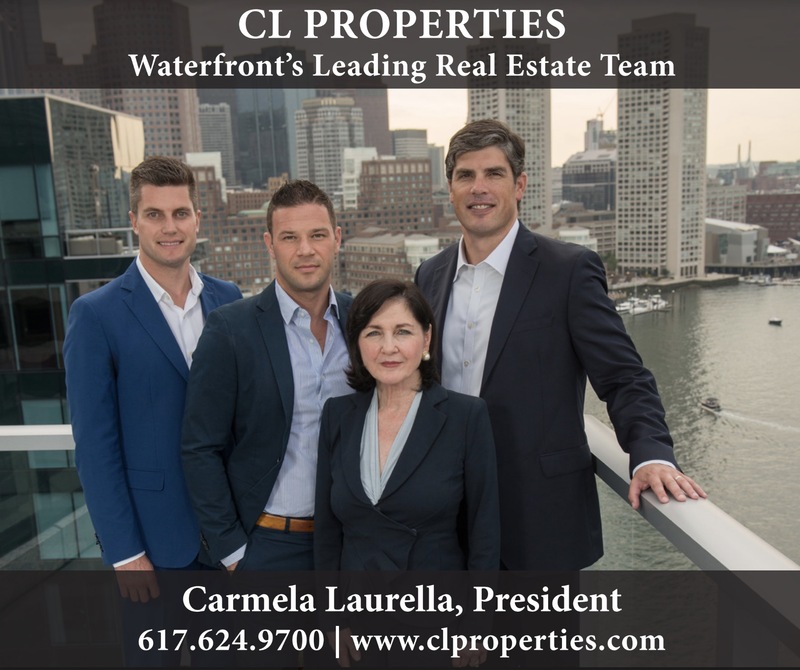 The inaugural effort was organized by the Saint Gennaro Foundation Boston, a 501(c)3 non-profit, established by Frank DePasquale, Nick Varano and Pasquale Trotta. 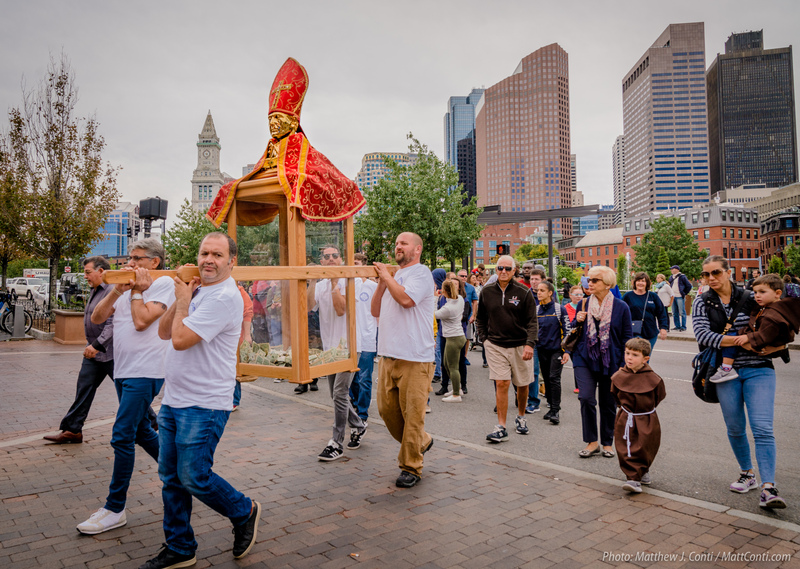 Organizers of this non-profit organization said proceeds will be used for autistic children charities, assisting parents and needy families with temporary housing, meals and transport assistance to hospital services in Boston. 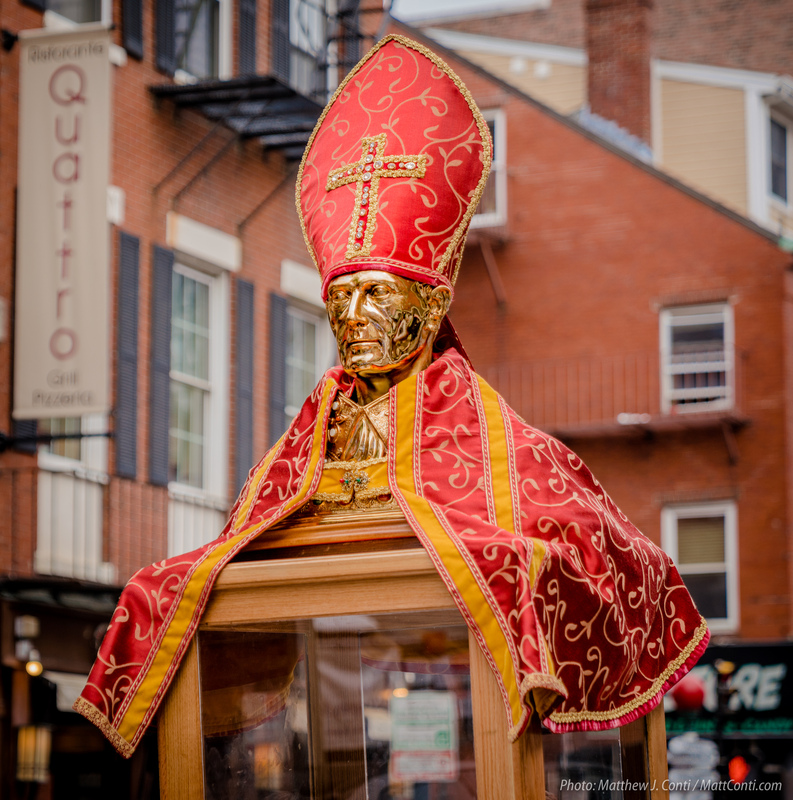 San Gennaro is the patron saint of Naples and his feast day is September 19th. 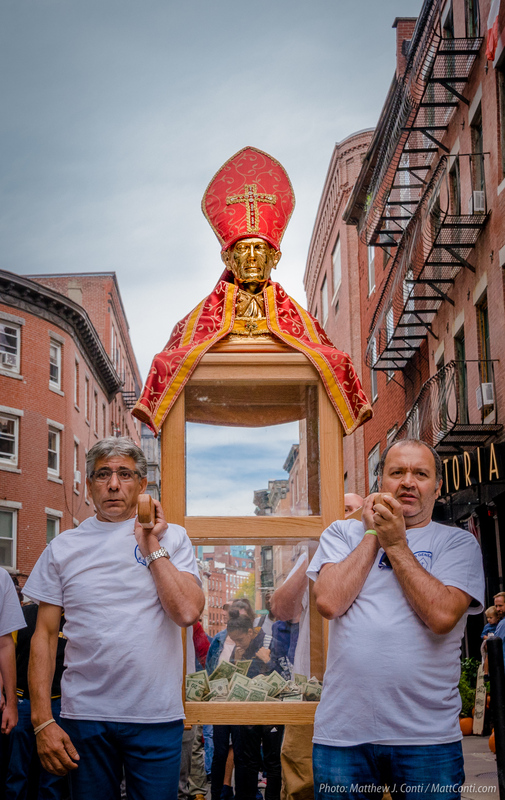 Separate from the Boston festival, the famous New York San Gennaro feast started on Mulberry Street in 1926. 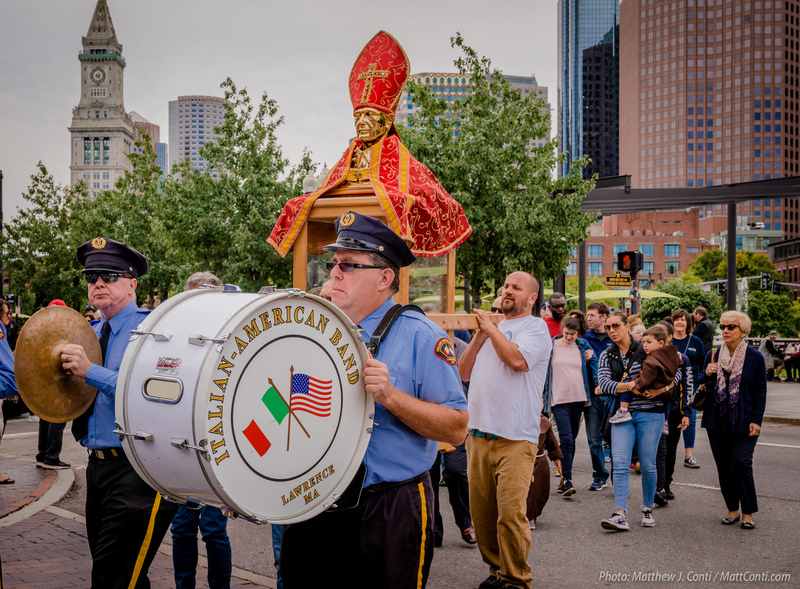 Boston organizers said they are confident that the San Gennaro Feast will return to the North End for its second run next year. 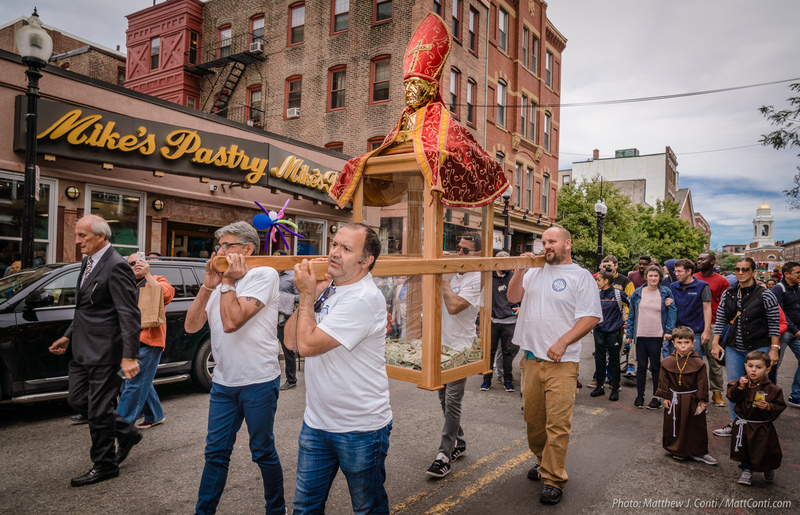 Overall this was a great feast, fantastic food, entertainment, great vibes and a decent procession. 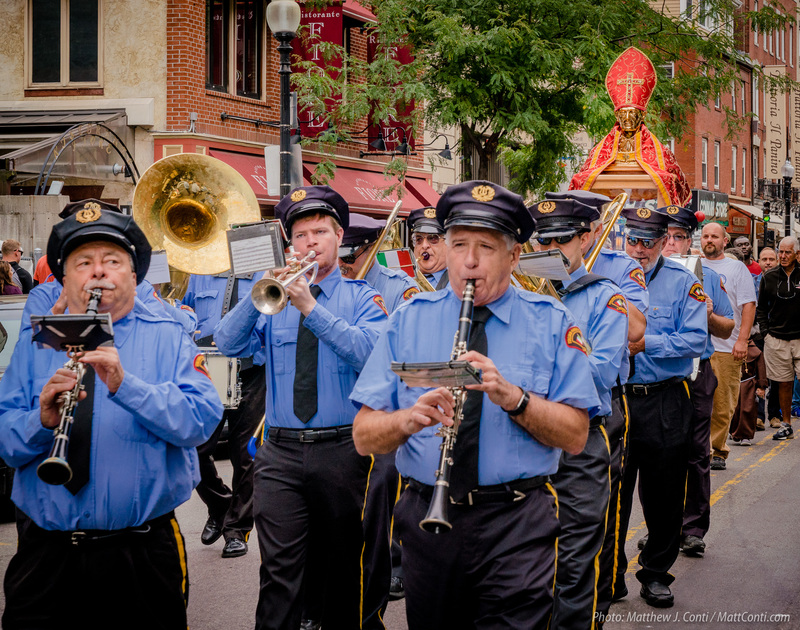 I am sure they will be back next year with a few adjustments. 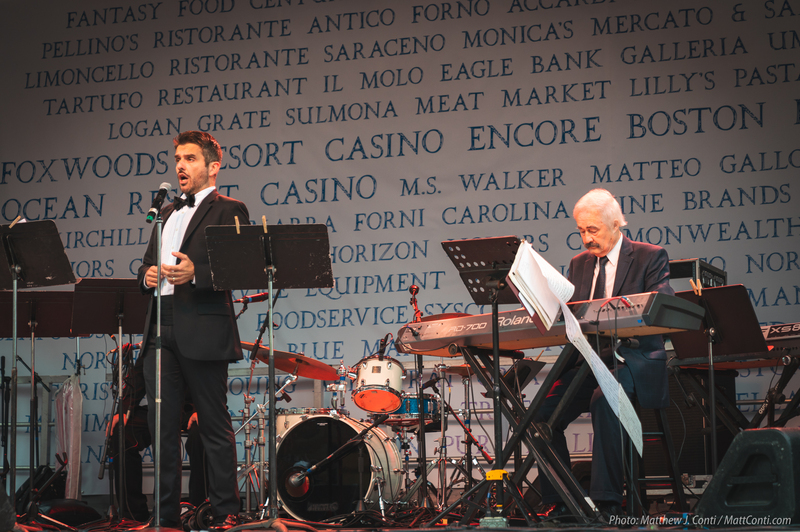 And at least everything is going towards benefiting autism which is brave of them to do. 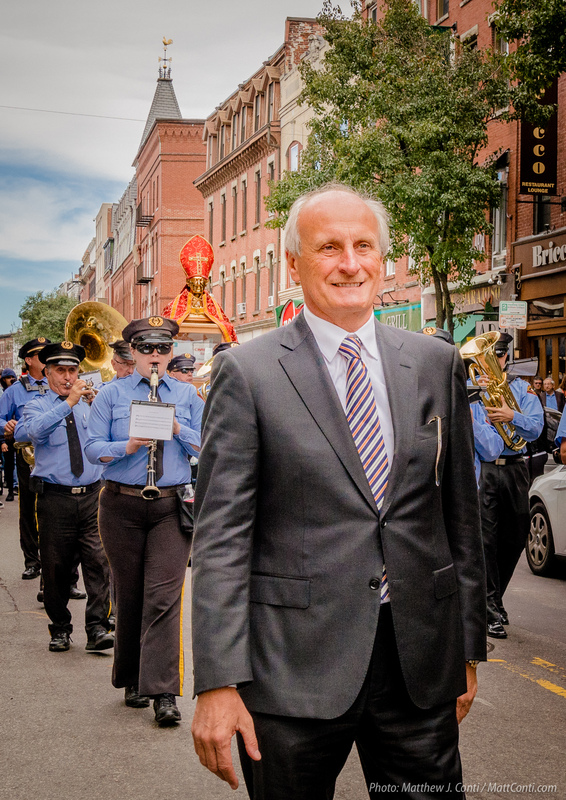 Very very well done, best of luck to Frank and Nick. 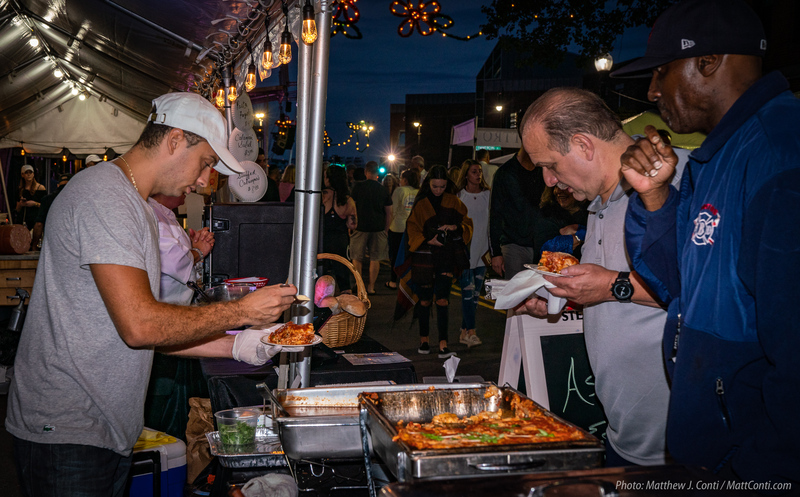 Great entertainment,great food,great weather; what more can you ask for? 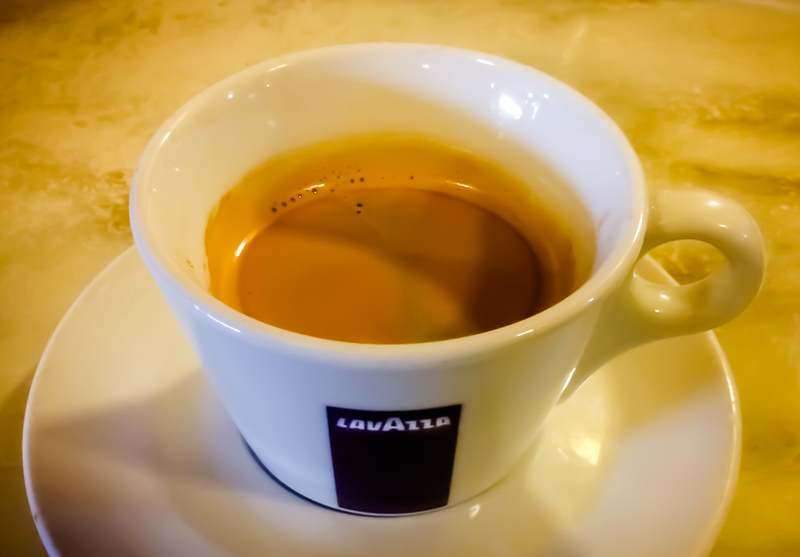 Oh, and classy. 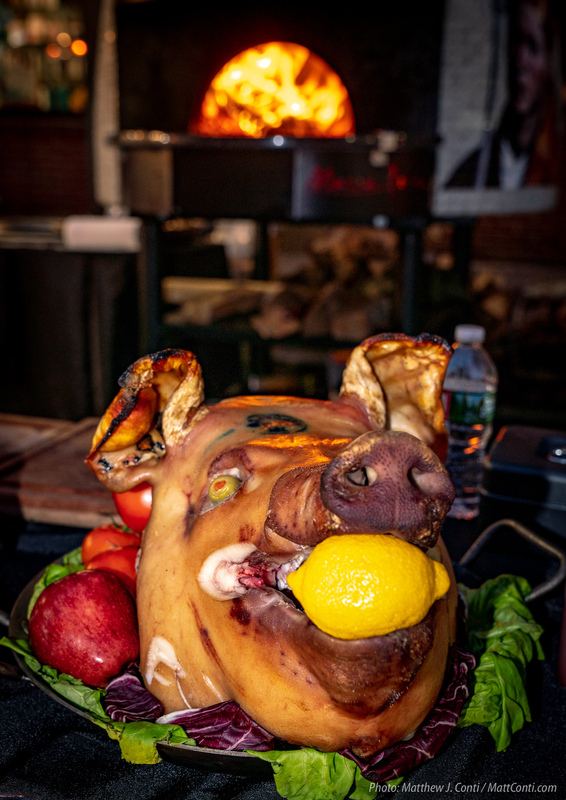 This was the best organized Feast ever & done with a Touch of Class, and by far the Best Entertainment. 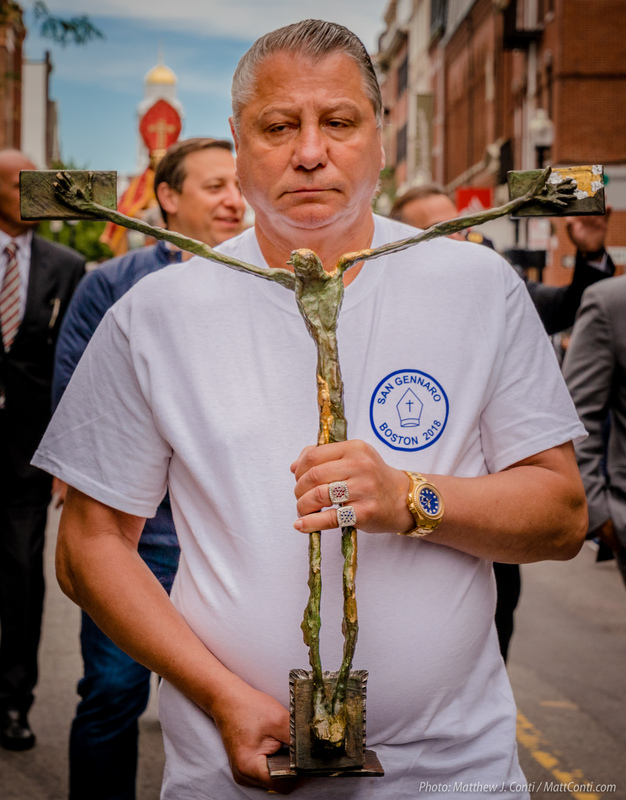 Not surprising that private businessmen with very deep pockets can put on a better “feast” than real, charitable religious societies. 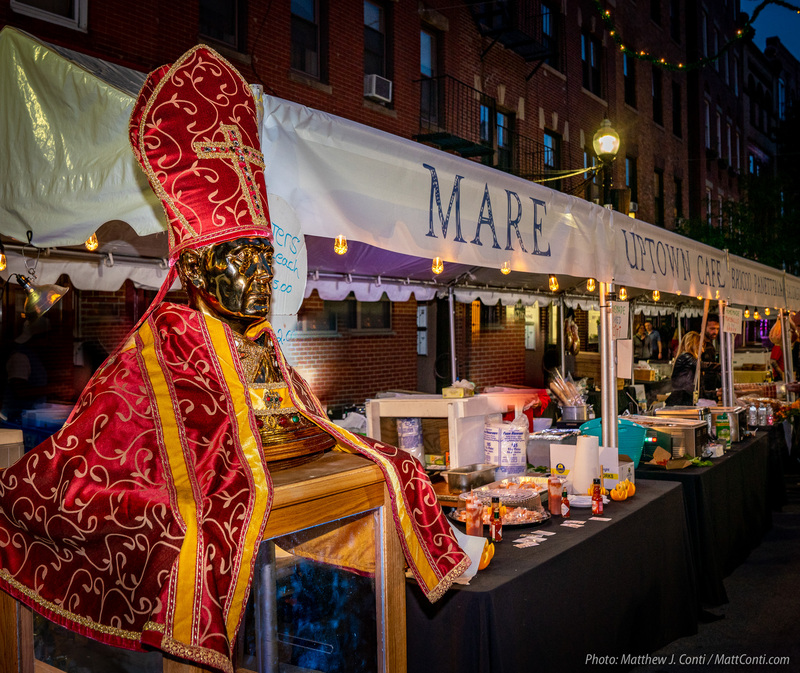 I will say I have been to a lot of San Gennaro Feast, and this was one of the BEST! 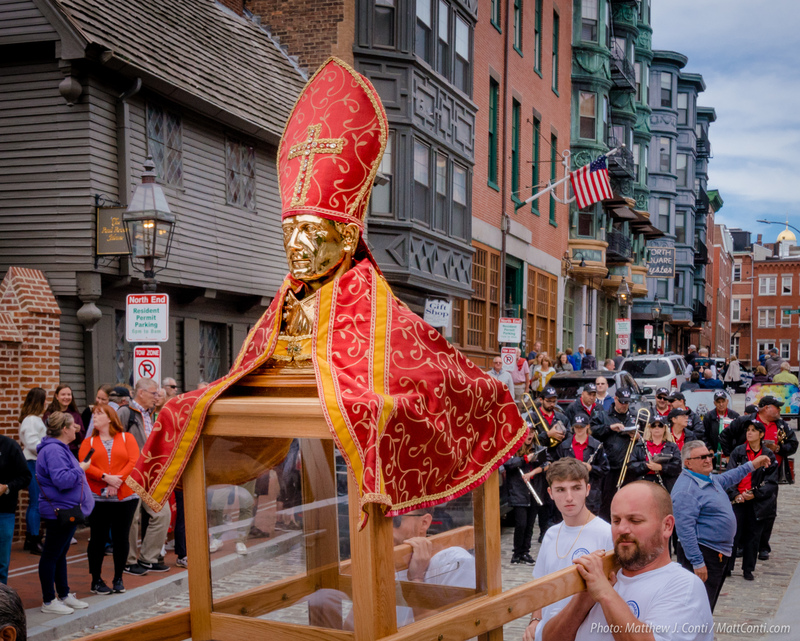 I did however, over hear a women telling her friend from another society not to put any money on the Saint. 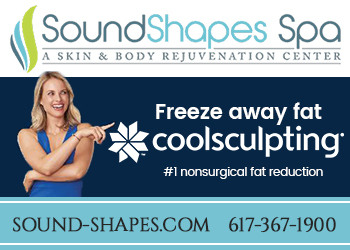 She told him it disappears. 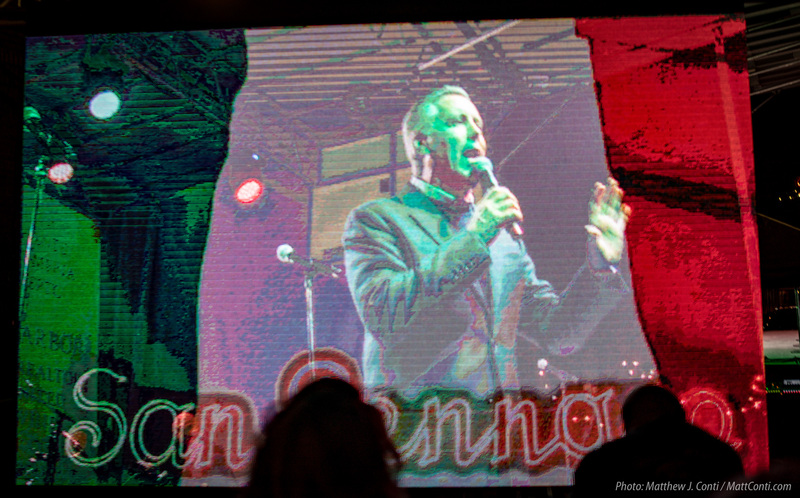 This was pretty sad to hear. 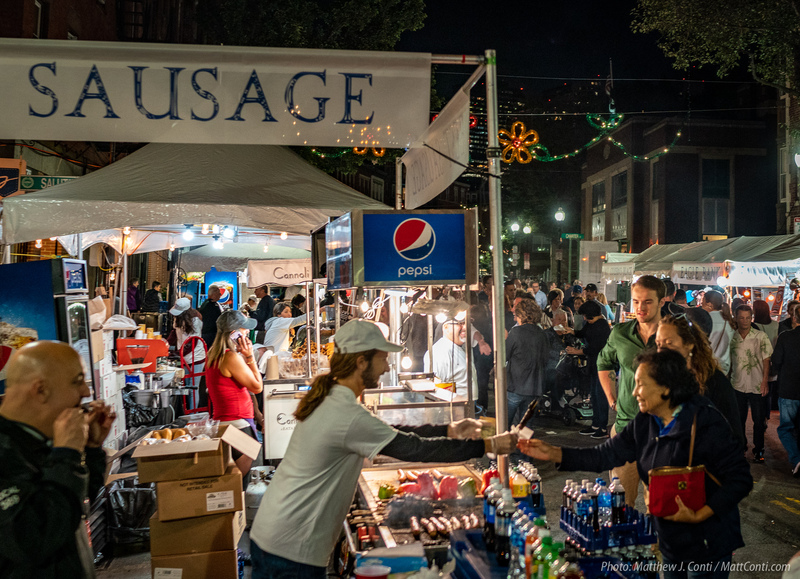 I do know that this Feast was done for a GREAT CAUSE and that neither Frank nor Nick are in any way desperate for cash. 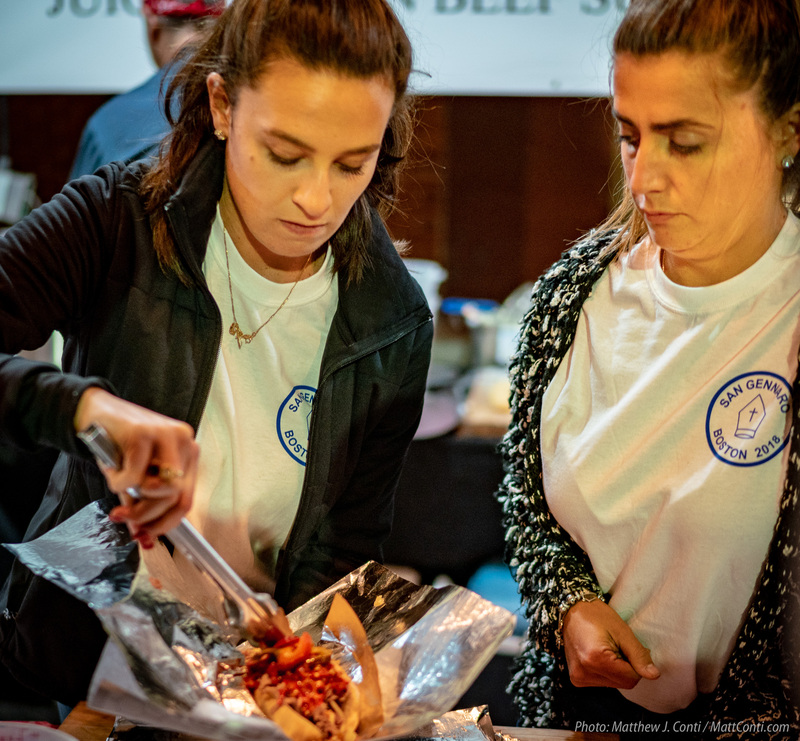 They are both very well to do and this was nothing but a true, unselfish, heartfelt decision by them to make this feast come to life. 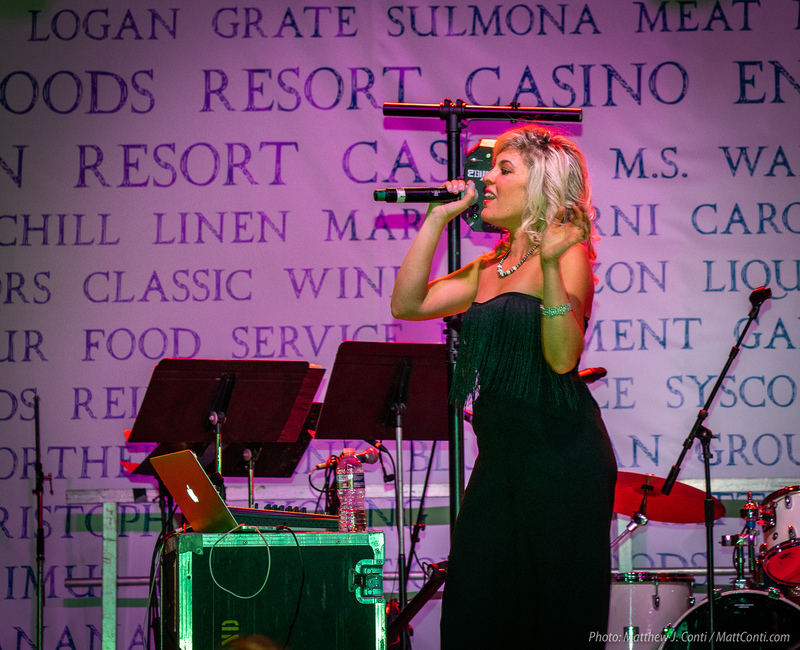 It was just an all around good time. 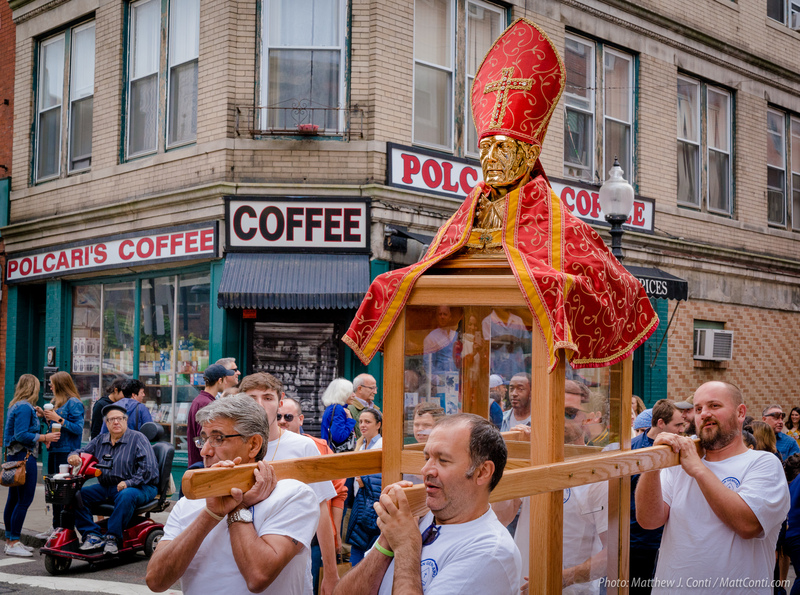 Stay Blessed..
It’s probably going to be held the same weekend as this year next year most likely. 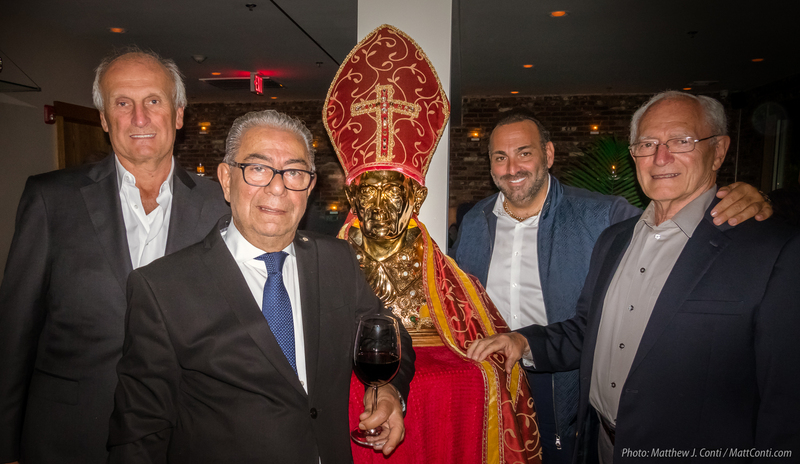 The Padre Pio thing won’t happen next year because that was a special 50th anniversary celebration. 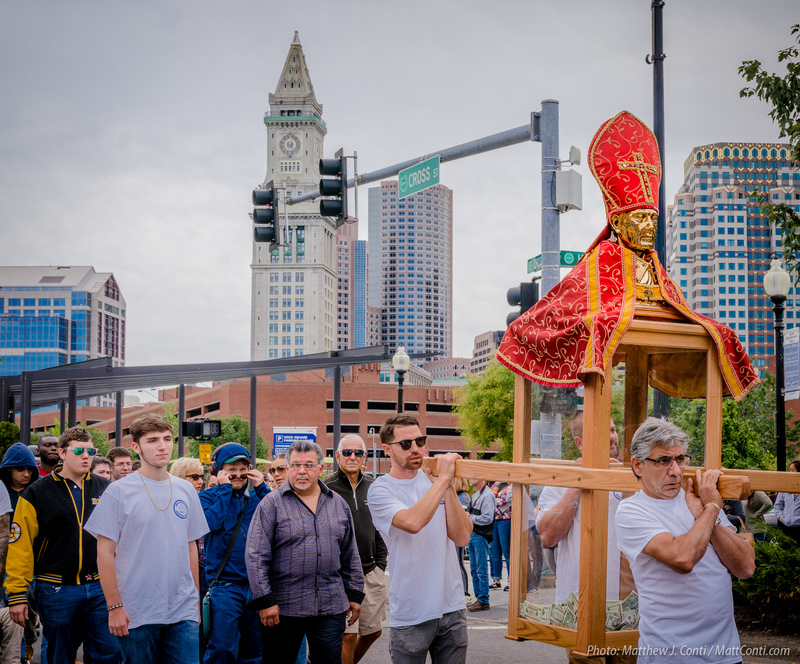 Padre Pio will just have their June procession. 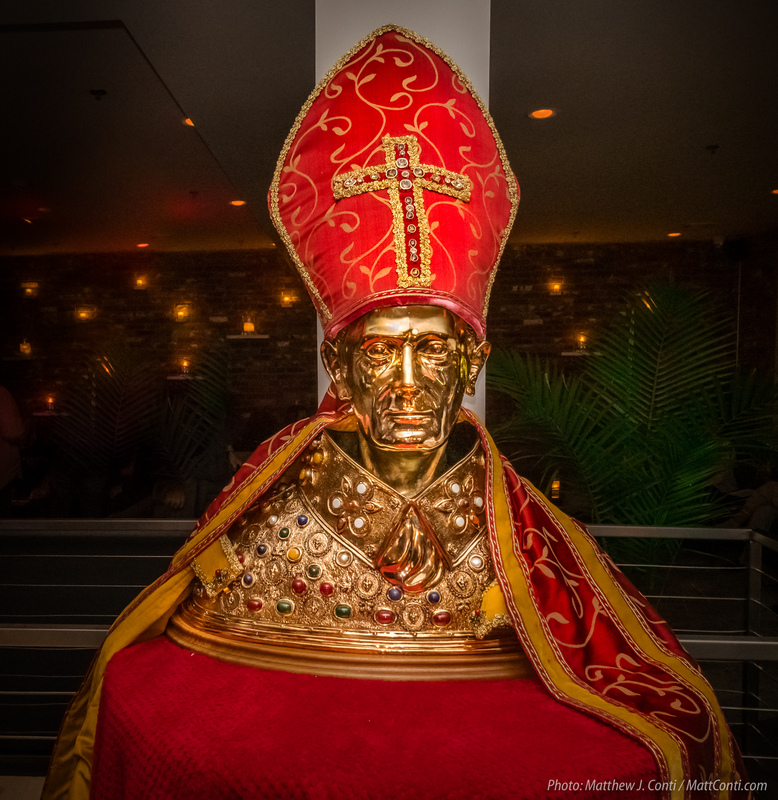 Of course until his death reaches 100 years that won’t be until 2068 and who knows how everything will be by then.